A recent survey asked adults in the United States, "What should be taught to students prior to their graduation?" Participants indicated that information about health was more important for students to learn that content in language arts, mathematics, science, history, or any other subject (Marzano & Kendall, 1998). Healthy bodies, ergo healthy brains are able to live longer and learn more. Let's not put the cart before the horse. Despite the importance of health and physical education, schools (in general) devote minimal curriculum time to teaching students how to lead healthy lives. One of the most emphatic recommendations in reports from numerous federal and health promotion agencies is to increase the levels of physical activity among children and youth. Physical inactivity results in substantial, negative health consequences. Obesity, high blood glucose, high blood pressure, and high blood lipids all occur more often among sedentary adults. These problems increase the risk for chronic diseases such as cardiovascular disease, various cancers, Type II diabetes, and hypertension. Indeed, a direct relationship exists between leading a physically active life and developing long-term good health. Unhealthy behaviors take many years to present themselves clinically, but there is a compelling reason to believe that helping students learn to be active early in their lives will provide an important foundation for lifetime physical activity (Centers for Disease Control and Prevention, 1997). Guidelines suggest that children and youth need at least 30 to 60 minutes of accumulated physical activity on all or most days. More than 60 minutes and up to several hours of appropriate physical activities is optimal, however. Because children are intermittently active (they do not naturally engage in continuous activities, such as jogging), we need to make sure that they have multiple periods of moderate activity that are at least 10 to 15 minutes in duration each day (Corbin & Pangrazi, 1998). According to Robert Pangrazi, "Moving is not a privilege. Being physically active is not something a child earns. Rather movement forms the core of learning and exploring one's environment. HOPSports Brain Breaks give students a dose of physical activity on a regular basis with a wide variety of activities that are great motivators for children. A teacher can reward students with physical activity throughout the day to keep them sharp and in peak health. Brain Breaks move and so should students." Quality physical education programs are essential in helping students gain competence and confidence in a variety of movement forms, such as sports, dance, recreational activities, and fitness activities. Standards alone, however, will not ensure a quality program. Although many programs are using the standards to create innovative, coherent, learning-focused programs, the field of physical education, like any other field, is driven as much by tradition as by innovation. Age-old, ineffective practices die hard: militaristic calisthenics; squads; "one size fits all" games or sports for large groups regardless of individual ability; team sport–dominated programs that focus more on keeping students busy than on increasing student learning; and grading on "dressing out" and participation as opposed to important learning outcomes. Such practices lead many students to loathe physical education and physical activity. Students are often minimally active during physical education class time. A variety of practices create this problem. Many physical education programs limit physical activity, for example, through waiting turns or using too much time for roll call. Far too many middle and high school physical education classes focus heavily on team sports, which, if taught in a large-group format, do not necessarily allow all students to achieve moderate levels of physical activity during class time. In addition, programs using a multi-activity format in which students go through activity units of one, two, or three weeks do not provide adequate time for many students to gain a confidence-building level of competence in any activity. Continuing to provide a smorgasbord curriculum while expecting meaningful learning outcomes is foolhardy. Elementary physical education programs should focus on helping students develop as skillful movers. The curriculum should integrate health-fitness concepts and activities into educational games, educational gymnastics, and educational dance. To be successful in lifetime physical activity, children need to develop knowledge about, and skills in, several forms of activity. Well-prepared teachers know how to create developmentally appropriate programs that emphasize individual skill and fitness concept learning while maximizing the activity of all students in learning activities. They do not use whole-class games, such as kickball, dodgeball, or team sports just to keep kids busy, and they link activities to desired learning outcomes. They design assessments so that students can demonstrate what they know—and what they can do with what they know—in authentic, developmentally appropriate ways. In middle and high school, students should continue to hone skills and integrate health fitness concepts. The curriculum should begin a clear transition in content selection toward lifetime activities. Examples include individual or dual activities such as golf or tennis, recreational and outdoor adventure activities, and fitness activities such as walking or inline skating. Again, content selection and progression should be developmentally appropriate, emphasizing small-sided teams, cooperative activities, and learning centers or stations, and teachers should maximize activity time for all students. If students do not have adequate skills, high-level competitive activities are inappropriate. To experience most of the health benefits of physical activity, individuals do not have to participate at high levels of energy expenditure (Corbin & Pangrazi, 1998). Rather, teachers should provide students with activity choices. Helping children and youth find success, enjoyment, and confidence in their physical abilities is important. We need to provide instructional experiences in which students are active and engaged in developmentally appropriate ways. We need to embed the life skills of decision making, goal setting, problem solving, self-assessment, and health advocacy into our lessons (Corbin & Pangrazi, 1998). Assessments must ask students to demonstrate important learning outcomes. To illustrate how old paradigms die hard I'll share an anecdote I read recently, "There is one thing that defines every outstanding PE program that I’ve ever seen. It’s not high-tech heart rate monitors. It’s not magnificent ExerGaming options. It’s not even a 22-pound manual of games and activities. IT IS a passionate educator working tirelessly to improve the lives of her or his students. In short – HOPE. HOPE that the lesson plans that are implemented will provide a spark for learning, a jolt toward physical activity, and a thunderclap for lifelong wellness. HOPE that the children we teach will go out into the world and live healthy and productive lives. HOPE that young adults will find a joy and satisfaction in routine physical activity. This sort of teaching MIGHT include heart rate monitors and DDR systems." Unfortunately the sun has set on the Old PE. HOPE just isn't going to cut it by any stretch of the imagination. To quote the luminary, Phil Lawler, "If it were not for Physical Education failing in the United States, there would be no need for a 'New P.E.'" The disconnect between school funding priorities and student health and fitness is due to schools not being funded or evaluated on the health of kids as there's no pressure put on administrators. 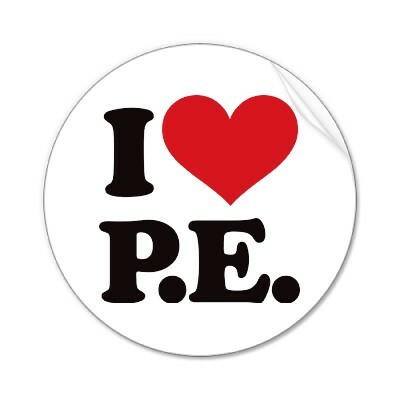 Only 6 percent of U.S. high schools offer a daily physical education class. Meanwhile, global scientific fitness studies show that exercise and movement improve academic performance. The results attained by Phil Lawler and his associates in Naperville speak volumes. Gym class has transformed the student body of 19,000 into perhaps the fittest in the nation. Among one entire class of sophomores, only 3 percent were overweight, versus the national average of 30 percent. Their New P.E. program has also turned those students into some of the smartest in the nation. In 1999 Naperville’s eighth graders were among some 230,000 students from around the world who took an international standards test called TIMSS (Trends in International Mathematics and Science Study), which evaluates knowledge of math and science. In recent years, students in China, Japan, and Singapore have outpaced American kids in these crucial subjects, but Naperville is the conspicuous exception: when its students took the TIMSS, they finished first in the world in science and sixth in math. "I know this may sound too good to be true, but it's true. The HOPSports system has changed our curriculum and it is Standard-Based. My administration loves this program, especially when my Adaptive PE class uses it. Pretty incredible. Here is our school website to give you an idea on what we have accomplished. Remember, this all started with HOPS. A few years ago, we had nothing, I mean nothing. The first product that we implemented is the HOPSports program. This is the center of our curriculum. Every PE teacher uses it daily. On rainy days, we have three classes of 50 at one time using it. That's 150 students working out. You try and find me another product that can do that. You can't." "You will have lesson plans that range from cardio-kickboxing, jump rope, boot camp workouts, ladder workouts, dance/rhythmic workouts, exercise ball workouts, combo workouts, lesson workouts (swimming, baseball, hockey, soccer, basketball) etc., and my personal favorite workouts are the ladder workouts. They are the best." We (all) wouldn't be in this field if we didn't want to give kids the best opportunities to grow into their own potential. We need to embrace the technology that's available and that kids are accustomed to in order to fully engage them. There's a time for 'doing what we've always done' and a time to innovate. The research is in, the evidence is on the table and where we've failed before becomes a learning opportunity for us all. In the same way that sports leagues use instant replay to best assess what's happened rather than relying on 'gut feelings' or fallable observations, the time has come to bring physical education into the 21st century.